A Brazilian Supreme Court judge on Thursday rejected an appeal by jailed former president Luiz Inacio Lula da Silva to overturn his ban on running in next month’s elections. Brazil’s electoral court had disqualified Lula on the grounds of the country’s clean-slate law that prevents anyone who has lost an appeal against a conviction from running for office. 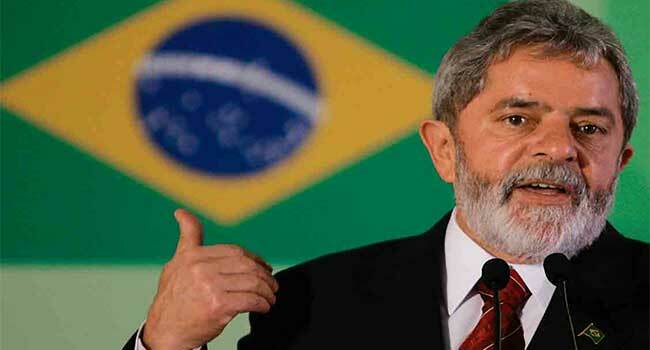 Lula was convicted on charges of accepting a seaside apartment as a bribe and then lost an initial appeal. On Wednesday, his lawyers filed an appeal against the disqualification to run in the elections, in which polls had shown he would be the front-runner. The electoral court gave Lula’s Workers’ Party until September 12 to nominate a replacement and banned the 72-year-old from campaigning. But Supreme Court Justice Luiz Edson Fachin, who is overseeing the massive corruption probe known as Car Wash, rejected the appeal. At the same time, federal prosecutors asked the Supreme Court to open an investigation against sitting President Michel Temer on charges of corruption and money laundering. Brazilian media said the request centered around charges that Temer — a former vice president who took office after then-president Dilma Rousseff was impeached in 2016 — allegedly received in 2014 a sum of 1.43 million reais (around $240,000) from the construction giant Odebrecht, the company at the center of the huge corruption probe. The charges also allege that his political party received 10 million reais from Odebrecht for its 2014 election campaign, in which he ran as Rousseff’s vice president. Temer has already dodged two attempts to impeach him in the past year, and has the lowest popularity rating of any president in Brazilian history. Corruption has become a key theme in the presidential elections, scheduled to take place on October 7.